Do dia 24 a 29 de Janeiro estará acontecendo o Fórum Social mundial (que estará sendo realizado simultaneamente em outras partes do mundo). No acampamento da Juventude, acontecerá diversas atividades entre elas a tenda de artes Visuais. No dia 28 de Janeiro (sábado), 17h, estarei ministrando o workshop de histórias em quadrinhos. Totalmente gratuito. 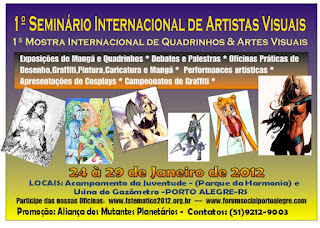 Estarei também vendendo meus prints(R$ 10,00) e sketchbook (R$ 5,00). From 24 to 29 January will be going on the World Social Forum (which is being held simultaneously in other parts of the world). In the Youth Camp, held various activitiesincluding the tent of Visual Arts. 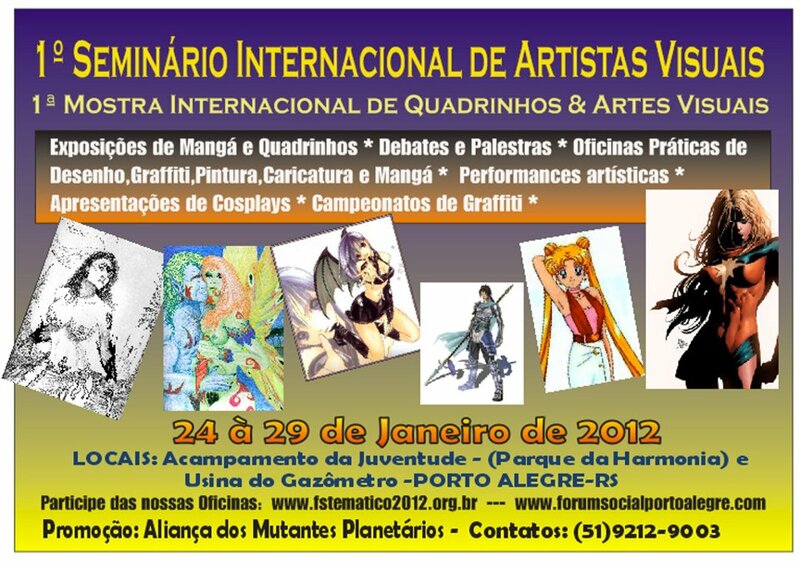 On January 28 (Saturday), 17h, the workshop will be ministering comics. Totally free. I will also be selling my prints ($ 10.00) and sketchbook (U.S. $ 5.00).